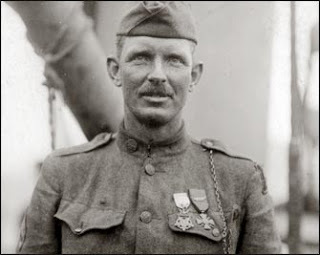 Today (October 8, 2018) is the 100th anniversary of one of the most extraordinary feats of battlefield courage, that being the actions of Corporal Alvin C. York of Tennessee. On this date in 1918, York was part of a group from the 328th Infantry Regiment sent around a hill in the Meuse-Argonne area of France, in an attempt to silence German heavy fire. A legitimate, but extremely dangerous, tactic during the latter part of the Great War, the Americans were ready to do their duty. During their flanking maneuver, the Americans surprised a group of Germans who were not expecting Yanks at that location. But as they accepted the surrender, the Doughboys, themselves, were suddenly devastated by German gunfire from a nearby hill. York's commanding officer and best friend were hit and out of action, and he found himself in command. More importantly, he found himself in a position where he might be able to fight back. 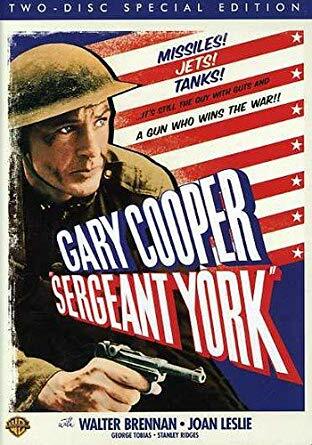 That day York and his unit captured 132 German prisoners and marched them back to the American lines. I tell York's story about this day in my book The Battlefield Guide to Life, and the lesson to be taken from it is one of redemption. Alvin York had been a drinking man and a bit of a hellion, then he found God and became a devout Christian. He had a bit of hesitation as he was drafted, but soon reconciled himself that war was not an enemy to his faith, and he marched off to the Western Front with the understanding that God was with him - no matter what happened to him personally. In the hills where I come from he's the most famous soldier we'll likely ever see. Later promoted to sergeant, Alvin York was award the United States Medal of Honor, the French Croix de Guerre, as well as honors from Italy and Montenegro. Sergeant York is buried near his home in Pall Mall, Tennessee, which is now part of a state historic park. It's a great place to reflect and learn about one of the greatest American heroes, a man we should never forget. I want to take a moment to thank Enterprise car rental and Chase Visa USA for their help with a recent problem. 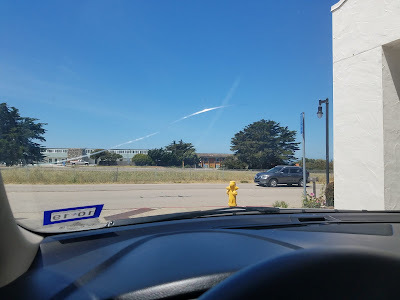 A couple months ago my Enterprise rental car was hit by a small object, possibly a stone kicked up off the freeway, as I drove into California. I realized that it must have hit the "perfect" spot, because a crack soon found its way across the windshield. I was sure that I was going to have a headache trying to work through the problem, especially with several days left on my trip. My first call was to Enterprise, and the representative assured me that my safety and comfort were their main priority. He gave me suggestions as to how I might trade out cars along the way if I needed to, and how best to approach insurance. As I hung up he said, "Don't worry about it, enjoy your trip." 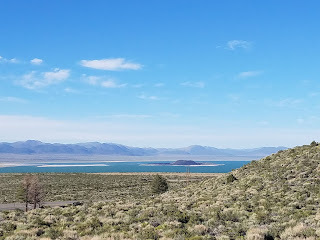 After that I called Chase Visa (always great for Southwest airline miles) and their representative told me I was covered, that he would email to me a list of the information they needed after I got home, and to enjoy my vacation. Just that simple. The crack never was so bad that I needed to trade cars, and I was able to enjoy the trip with the same Ford Fusion Hybrid. 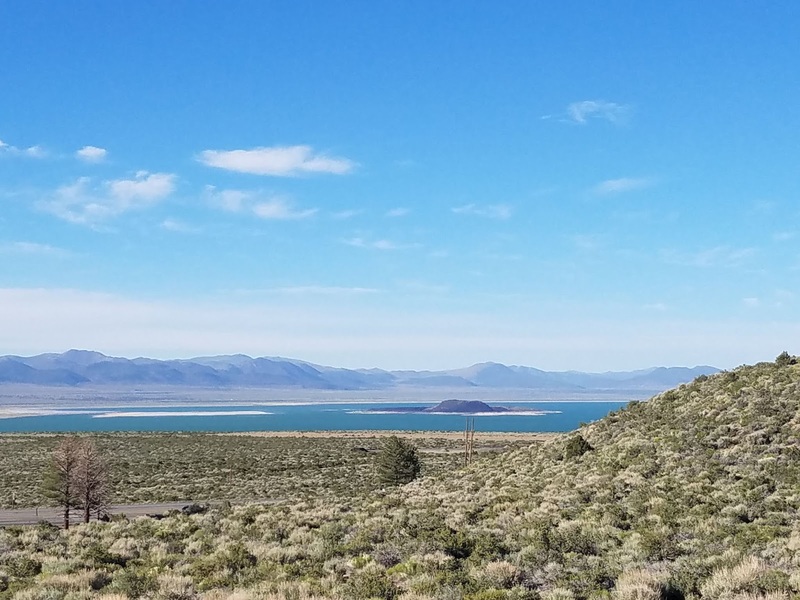 The Enterprise rep at the Reno Airport got me what I needed to file for insurance purposes, when I returned the car, and over the next week I got Chase the rest of the paperwork they needed. The process was simple, and when I needed help both companies had outstanding reps to assist. This week I got notice that the credit card and rental card companies had everything worked out, and the windshield was replaced at no expense to me. I have to admit that I was concerned how this would play out, because I've always wondered what would happen if I ever needed to rely on the credit card insurance coverage that's included with a car rental. 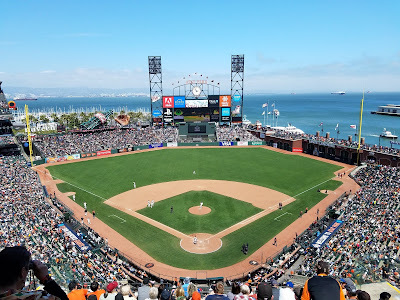 Plainly, it worked better than I would have imagined, and I applaud Enterprise and Chase Visa USA for doing what they said they would, with some of the greatest customer service folks when I needed an assist. They assured themselves a customer for a while, and I thank them both. I've long been fascinated by military quotes, feeling that there's usually a life lesson in there somewhere. Could there be anything better than a good maxim from George Patton or Chesty Puller? 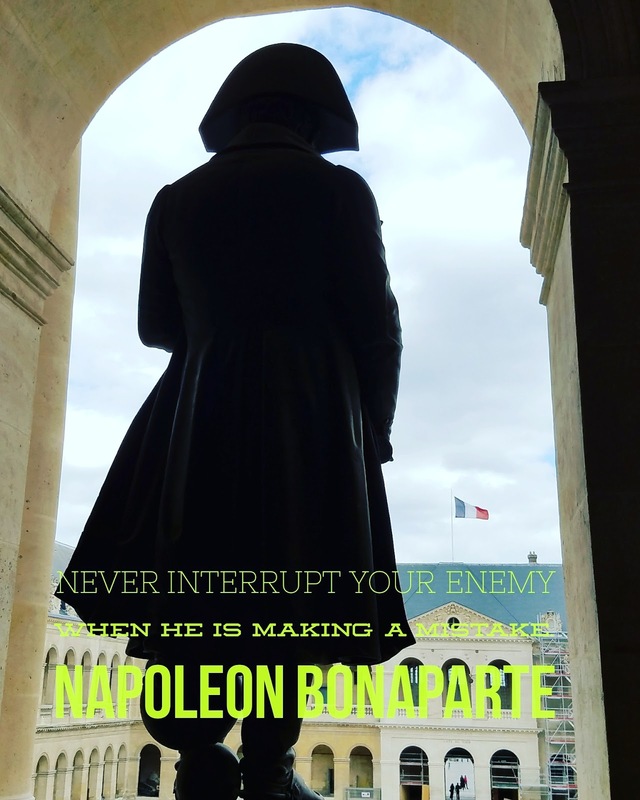 One of my favorites is from Napoleon: "Never interrupt your enemy when he is making a mistake." Another classic comes from General Anthony McAuliffe, as he declined the German offer to surrender at Bastogne during the Battle of the Bulge: "Nuts." Several books have been written on military quotes and someday I may add another. But today marks the 100th anniversary of one of my favorites, one of the most famous of all time. This quote was by a man who was soon killed after his utterance, and never achieved the success that I believe he would otherwise have accomplished. The German army had launched their spring offensive on the Western Front in March of 1918, in an attempt to break the stalemate of the Great War. This aggressive movement utilized seasoned German soldiers which had previously been fighting against Russia (just surrendered) on the Eastern Front, and was an attempt to settle the war before the Americans could become fully engaged. U.S. Marines were sent to assist the French at the Battle of Belleau Wood, and among those was Captain Lloyd Williams commanding the 51st Company, 2nd Battalion, 5th Marines. As the Marines began plugging holes and establishing positions, they met French troops falling back. The French, conditioned over the past four years to the bitter fight, were more accepting of the general rules of warfare. In this environment, a French officer - unsure of his English - wrote a note that was passed to Captain Williams. Williams read the note, which advised immediate retreat. In typical American fashion, especially in those first days of the U.S. intervention, Williams stood bravely and incredulously stated, "Retreat, Hell! We just got here." 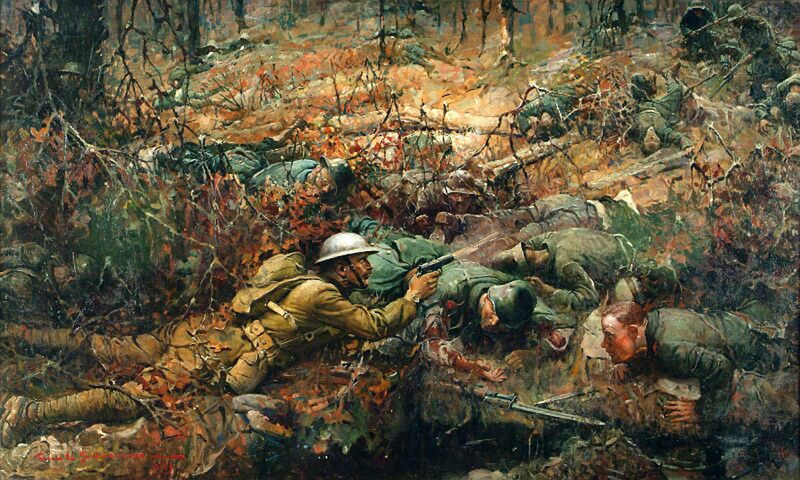 To this day the United States Marines hold the Battle of Belleau Wood as a testament to their fortitude. The exclamation of Captain Williams fell into legend, and "Retreat, Hell!" 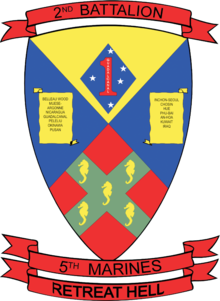 became the motto of the 2nd Battalion, Fifth Marine Regiment. I admire the audacity of Captain Williams; it was pure and genuine, and it cost him his life. Nine days later, Captain Williams was killed in battle. Realizing that he was dying, he asked the medics and orderlies, "Don't bother with me. Take care of my brave men." Five months later the war would be over. 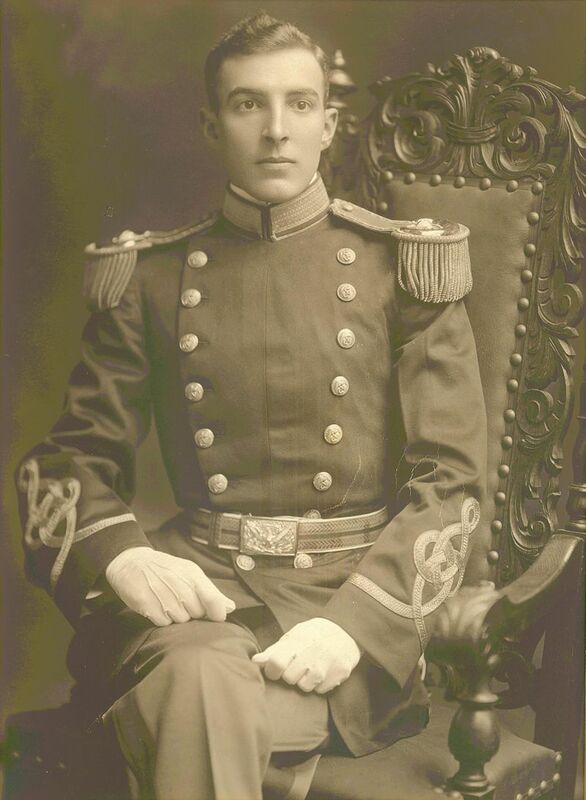 Captain Williams was posthumously promoted to Major and is generally recognized as the first Virginian to be killed during WWI. Make no mistake, plenty more would die before the armistice. Later in the war the attitudes of the Doughboys had changed, but I will never cease to admire that quote, that audacity, that courage. Retreat, Hell! We just got here. A friend called me a couple weeks ago. Her best friend’s dad had passed away, and that friend was considering selling some things her father had saved, many of them family relics. She asked if I would take a look, to see if there was anything of value. I was glad to do that. 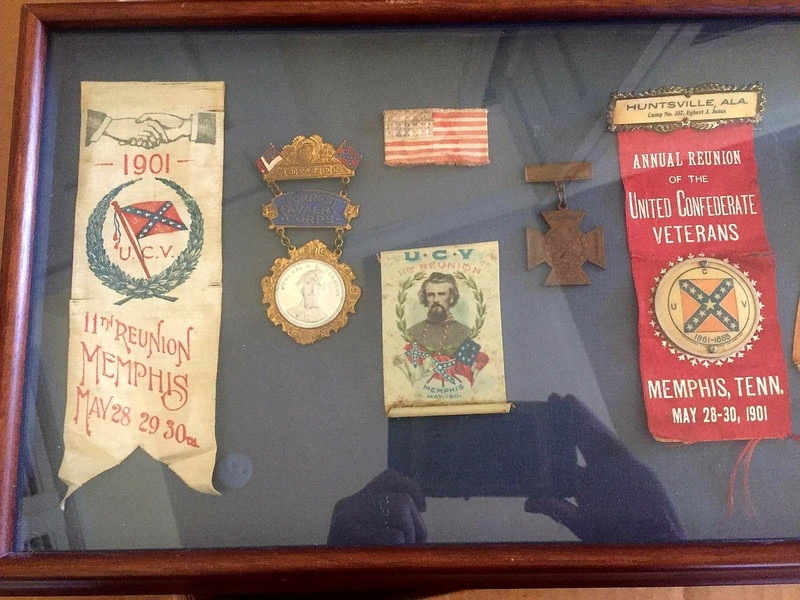 There were a few badges and ribbons from the United Confederate Veterans, things I once collected, as well as an 1830s sword that my friend Kirk helped with, and an 1875 Smith and Wesson pistol that my brother-in-law told me a little about. As to value, I was intrigued to see a Forrest Cavalry Corps badge in near perfect condition, a 1901 UCV celluloid, and a Southern Cross of Honor. Those three pieces, alone, had to be worth at least a thousand bucks, probably more. But among all those things there was something intriguing, something that I knew had little monetary value. 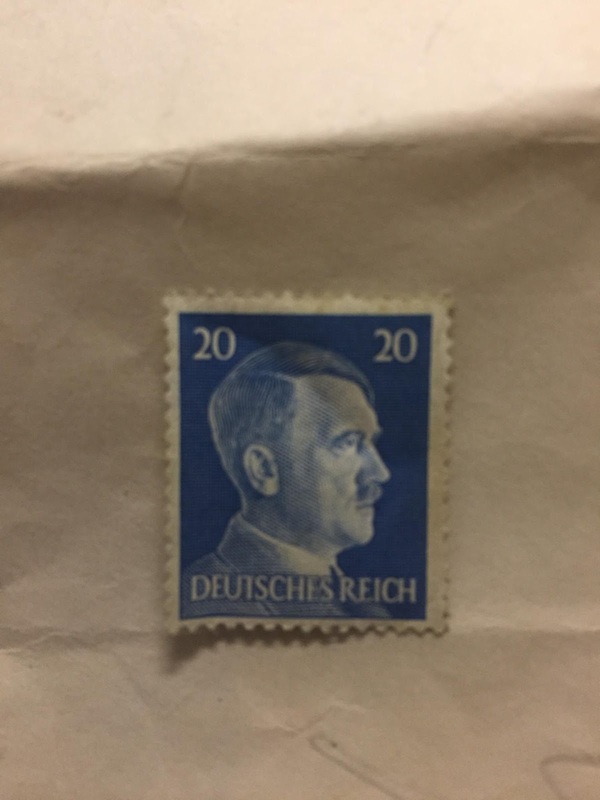 There was a German 20 pfennig stamp from the WWII era with an image of Hitler. It had not been canceled, but even in pristine condition wasn’t worth more than a couple dollars. The envelope it came in was the story. 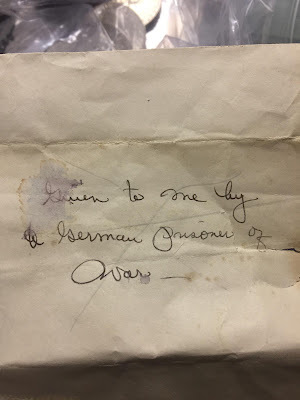 Noted in the veteran’s handwriting was, “Given to me by a German Prisoner of War.” And in that moment I envisioned a scared prisoner, captive but alive, completely defeated. I knew that the American had done something - an act of kindness that will never be known. The stamp was given. It was not traded, it was not taken - it was given. Even on that day, as the German's war ended, the slight bit of paper was worthless, but it held a value to him as perhaps his last true possession. He hoped the American would understand. The GI kept the stamp until his death, proof that he did. 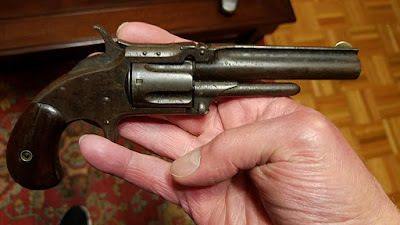 Today we trekked to the Tennessee Military Collectors Association exhibition to sell the UCV badges, and we got a lot of information on how to refurbish the old S&W 32 caliber pistol, from a man who sometimes works with Antiques Roadshow. But the one thing I didn’t want sold, well, that stayed in the family. Remaining with his daughter as part of the old soldier’s personal mementos is that stamp, brought to life only by his death. It is the story of defeat, kindness, redemption, and a memory that stays. It is the lasting relic of a moment that could only truly be understood by the victor and the vanquished on that day 70+ years ago. It is worthless. It is priceless. As the New Year of 2018 rolls in, I'm working late with the television on, reminding me of childhood days when it was a challenge to stay up late—to watch the sign off. Inevitably, if I could make it, and my parents gave permission, I would be watching one of the video versions of High Flight. High Flight was a poem written by an American, John Gillespie Magee, Jr. Magee had earned a scholarship at Yale in 1941, but instead chose the opportunity to fly with the Royal Canadian Air Force—the United States not yet having entered World War II. Technically illegal, the United States was seemingly indifferent to those who wanted to cross into Canada to help in the Battle of Britain. 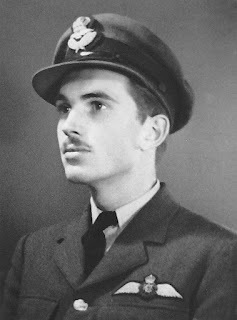 Sadly, during training in England, Gillespie suffered a mid-air collision and was killed, just months after having written what would become one of the most famous poems in history. 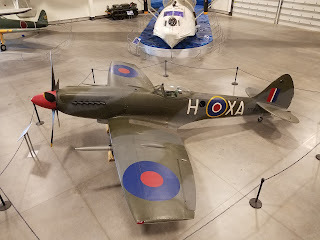 High Flight was composed as he flew in a Spitfire, and today is the official poem of both the Canadian Royal Air Force and the British Royal Air Force. President Ronald Reagan quoted from the poem after the space shuttle Challenger disaster, United States Air Force cadets are required to memorize it, and it is inscribed on countless gravestones from Arlington National Cemetery, to Canada, to England and beyond.